Aardvark Painting knows one of the most exciting aspects of Interior or Exterior painting of your home is the use of color. Color cannot only dramatically change your home environment but is also one of the easiest and least expensive ways to achieve it. Color can infuse your home with life, calm, relax you or rejuvenate your spirit. Color is personal. It can make a bold statement or it can be subdued and mellow. Color seems to intimidate many people. Your interior or exterior house painting begins with a one-on-one color consultation. Selecting the right paint color paint for your home/office or exterior is key to enjoying your home for years to come and the quality of our paint ensures that your paint job will last a long time. Take the color personality test online to see what colors best match your personality. Whether it’s a powder room or master bedroom suite the foyer or the dining room, a professional color consultation can really pull it all together with the right color combination–ask us about the Free color consultation. Having trouble choosing your colors? Are you feeling discouraged? Aardvark Painting, Inc. is partnered with some of the best Chicago color consultants and interior designers in the Chicago area. Sherwin Williams Paints offers coordinated color schemes inspire and saturate your paint color palette. 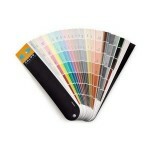 This color tool is perfect for homeowners, wanting to find the perfect color, for their perfect room. Use This Color Tool. Glidden Professional Paints offers a simple virtual Room Painter. Select your color, drag the brush over and paint your room from ceilings to the floor, simple to use. Choose from a vast array of vibrant colors. Virtual Room Painter. ******Note: Do to different screen resolutions and variations of paint colors Colors may vary substantially. It is always best to visit your local paint store for color swatches and Mini paint samples. We offer a Free Mini-Samples so you can be sure of your color by sampling it before we begin painting. As a leading residential painting company in Chicago, Aardvark Painting Inc. will offer you a painting cost estimate and color consulting early in the process. This service is free (up to 3 colors) for contracted work over $2000.00. Mini-Samples are available at all major paint suppliers for about $5-$8 per pint and are the most accurate way to see what your color will look like on your painted surface. Choose a High-gloss paint for wall and door trim and cabinetry. High gloss is too shiny for regular walls, but is durable and easily cleaned, and provides a smooth finish for furniture.